Most of us don’t pay much attention to it. In fact, we take it for granted. And worse, we don’t even relate it to our health, unless we experience problems with it. Breathing, the one thing we do every second of the day. Most people are shallow breathers, and I was no exception. I discovered years ago during my osteoporosis research, there is a relevant link between breathing properly and bone health. As I immersed myself deeper into the topic, I soon realized that deep breathing is an important part of a healthy lifestyle because it is also an efficient detoxifier. So I’ve worked on changing my own breathing habits. It took a bit of practice, but now it’s second nature to me, and I don’t even have to think about it. Breathing is important to bone health for several reasons. In the Osteoporosis Reversal Program, I talk about how stress can harm your bones. Deep breathing is a great way to lower your stress levels. And deep breathing is a great way to rid your body of acidifying toxins, including osteoporosis drugs. When you breathe into your chest (shallow breathing), you’re only filling the top part of your lungs, which means you’re short-changing your system by not taking in as much oxygen as you need. And if you’re not breathing in enough oxygen, you’re also not exhaling enough carbon dioxide. A pattern of shallow breathing can affect just about every system in your body, including your bones, as I mentioned earlier. Your stress levels will decrease, and you’ll find those tight neck and shoulder muscles relaxing. You’ll experience less anxiety. And you’ll have a great way to control anxiety when it does occur – just take several slow, deep breaths. You’ll be amazed at the results. Full exhalations allow your body to rid itself of toxins, and full exhalations are only possible when you breath fully and deeply. Your blood circulation will improve. You may also find that your digestion improves, because deep breathing stimulates the organs of the digestive system. You’ll feel better, because deep breathing moves lymph through the body, and releases endorphins and neuropeptides in the brain. How Do I Know If I’m a Shallow Breather? Lie down on a bed or on the floor. Place one of your hands lightly over your abdominal area. Take a couple of breaths, just as you normally would. Don’t try to change anything about your breathing for the purposes of this experiment. If your abdomen pushes your hand out and you feel the breath expanding your abdomen as you inhale, you’re already doing great! You may also notice your back expanding and pressing into the bed or floor. But if your hand stays still, and you feel the breath going down into your chest, then you’re probably a shallow breather and can benefit from some practice in this area. If you’re a shallow breather, start by simply paying attention to your breath. Take some slow, deep breaths and focus on feeling the breath all the way down into your diaphragm (abdominal area) as you inhale. Then exhale just as slowly and fully. Don’t force the breath. Just take nice and luxuriously relaxed breaths. In I encourage you to practice consciously breathing into the diaphragm twice a day for 10 or more minutes, especially during the cleanse. Try to find a quiet spot where you can get comfortable. Do this in a quiet spot and get comfortable. If you can do this outside or near an open window, it would be even better! 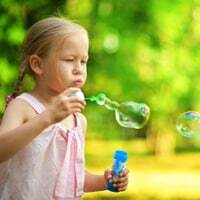 While practicing deep breathing, it helps to visualize a balloon filling in your abdomen. First, the bottom gets bigger. As you visualize the balloon filling with air in your abdomen, you will naturally breathe deep into the belly allowing your lungs to fill and your abdomen, sides, and back to expand with your breath. 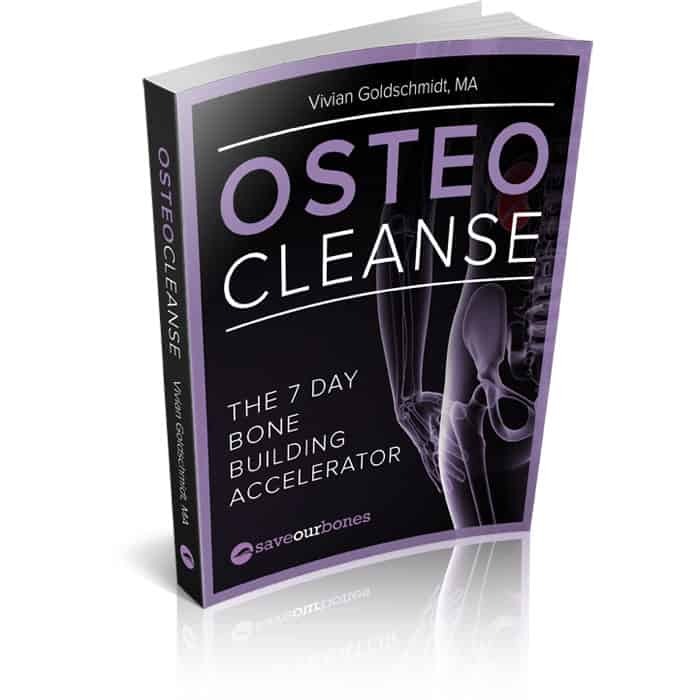 Why Should You Do the 7 Day OsteoCleanse™? Many members of the Save Our Bones community have voiced concerns about having taken osteoporosis drugs in general. Not only about the ongoing side effects, but also about the long-term effects. So I developed a 7 Day Cleanse that I follow twice a year. It’s specifically designed as a “jumpstart” for people who have taken osteoporosis drugs, and it will speed up the removal of these drugs from your system. I want to not only help you reach your bone-building goals; I also want to make it as easy as possible for you. So I’ve also included delicious recipes and even a shopping list. OsteoCleanse™ leaves nothing to chance. If you have taken the osteoporosis drugs, then this is something that you absolutely must follow. I can tell you that when you follow OsteoCleanse™, you will release and flush the drugs from your system, as well as other toxins. But even if you’ve never taken the osteoporosis drugs, you will feel a lot better upon completing the cleanse. As you know, I never took osteoporosis drugs, but I do the OsteoCleanse™ at least twice a year, and I feel great. If you haven’t already, try OsteoCleanse™ and flush the toxins you may have in your body that are making it harder for you to reach your full bone health potential. I am of the understanding that the proper way to breathe, especially when exercising, is to inhale through nose, exhale through mouth. Is this correct? Thank you. A lot of people find that an effective way to do deep breathing, James, and if it’s comfortable for you while exercising, it should be fine. But if you need to breathe a bit harder (as often happens when working out), then it’s understandable that you need to inhale and exhale through your mouth. I have other questions or comments to add later, but FIRST, the book is advertised at 50% off, and then when one tries to purchase it, it is only 37% off. Sorry, but I a on Social Security Disability, and have to be as careful with my funds as possible. Can you tell me how to purchase the book at 50% off, as stated above? I do have underlying medical problems, [endocrine] which have resulted in my latest T score [hip= -3.5] [spine +1.5–unreliable due to the compression of my spine-loss of 3+ inches in height]. Thanks for your help. Vegetarian, from algae, with supportive mineral and vitamins from organic fruit & vegetables. I get it on Amazon. I’ll try to do more deep breaths as so many benefits as to describe. Thank you so much for sharing with us. Having just finished your book, I am amazed at how many foods I thought were healthy, actually are not. I would like to ask you about baking soda and dark chocolate. I have read that since baking soda reduces acid in your body, it should be taken daily to help reduce the risk of cancer and osteoporosis. Do you agree with this theory? Also, what affect does dark chocolate have on our bones? Thank you so much for your wonderful program to Save Our Bones! And I don’t advise taking baking soda. It simply neutralizes stomach acid and impairs digestion. Hello Vivian, I will practice my breathing. It’s extraordinairy that there are so many things that affect your bone health.I have purchased your book and am following it all with interest. My endocrinologist has prescribed me Microgynon (birth contrl pill) as opposed to Fosamax because I am 45 years old. What is your take on the pill or HRT drugs? Are they acidic to the body? I was wondering if I could take these and follow the Save Your Bones Program? Who knew?! Incredible, the connections. Thank you for this! Another invaluable piece of knowledge! Thank you for the advice on Deep Breathing. I started doing this technique with Yoga, Tai-Chi and in Swimming. It really helps me a lot especially I have history of Atelectasis and Bronchiectasis. I do this Deep Breathing Technique most of time. I even catch myself doing a deep breathing even after meal, but I should not do that, because it is not easy to do it when my stomach is full. But anyway thank you very much for all those good information you are sharing us. I will give you an example of my breakfast. I will have two pieces of whole grain rye bread with avocado and organic almond butter. Then on the side I will cut up tomato cucumber cauliflower carrots and cabbage. At times there are 2 or 3 other vegetables. I might also add a banana. I am just wondering if I am doing the 20/80 correctly. Have been taking Evista for osteoporosis for several yrs. now. Was allergic to Fosomax & any others with those same ingredients, but Evista is totally different. What is your “take” on Evista & research done on this drug? Evista (raloxifene hydrochloride) has its own share of potentially devastating side effects, and you can read about it in my free Natural Bone Building Handbook. To get the handbook, just fill in the form on the right side of this page. I would like a hard copy of Rapid cleans book. My computer does not download and copy very well so that is why I did not sign up on line. What would be the cost if I receive by mail and pay the postage. This Was A Very Good And Informative Article. I’ve Been Trying To Take More Deep Breaths Myself, But Now I’ll Try Harder To Do It More Often. Thank You VERY MUCH For Sharing This Article With Us. I have been taking New Chapter Bone Health calcium supplement for over a year now. I recently purchased a bottle over the internet and it is different than the ones purchased in the past….also there are changes in the ingredients label….Is this product the same plant-based supplement as I was taking prior, or should I consider buying something else…. I was told by my health food store that they were informed the ingredients were changed. You might want to call the company and get the info from them. I am now taking a calcium-mineral supplement called Kelzyme. It is made from sea kelp, and supposedly very absorbable. However, it does not contain magnesium, so you must add that in separately. Vivian, have you ever heard of this? A chiropractor buys grass fed meat from farmer and he was saying you should take the cows bones and boil them and use the water for soups and broths because their bones are full of calcium. Chiropractor was sharing this because he knows I have osteoporosis..any truth to this? Boiling bones for the nutrients in them is an ancient practice. It is how stock or “broth” is made, even what you buy in cans from the store. When you do it yourself with grass-fed beef or chickens, you are getting a pure food that can be used as the base for delicious soups and gravies. I’ve found it tastes better than that made with store-bought meat, too. The cookbook “Nourishing Traditions” has the complete instructions. It’s where I learned how to do it right. All gourmet chefs use stock that they or their assistants make. The French are famous for it. The calcium (and other minerals) from the bones is unlocked by long, slow cooking. 24 hours or more for beef, 12 for chicken. An acid, like cider vinegar, is added to the water and bones before boiling. It sits about 30 minutes before you turn the fire on. This releases more minerals. I’ve been doing this for over 10 years and it has made a difference in my health. I’ve been searching for health knowledge for over 30 years and that brought me to this site. Hope I’ve helped add to your knowledge store. You are most welcome, Shirley! Hopefully, working on your breathing will also be of some benefit to your COPD. I forgot to mention just now that i read about Vivienne’s advice re breathing. I got this info also from the Mayo Institute and have been practising deep breathing ever since. I used to be breathless all the time when walking, and now I am improving daily. Everybody should find out about the dangers of so-called osteoporosis drugs. I found out from Vivienne because my rheumatologist wanted me to take them and I wanted to find out more about them first. So glad I did!! Now I’m finding out about statins. Have been on them for a few years and am only just beginning to find out the side effects. One thing I know is that everybody seems to be short of Vitamin D these days, even outdoor workers, and statins seems to be the culprit here. Goodness me, we take all these drugs because out GP tells us to do so, but they are really only saying what they have been told also. So everybody, check every prescription drug out, also non-prescription and find out what they are doing to you. I’m not against medication because a lot of it is necessary, but we have to sort the wheat from the chaff. Good luck to everyone with their health.